After getting in touch with Customer Service, I can now tell you what happened – and a neat trick of avoiding it, should it happen again. Interested? Read on! You may be wondering why I have more than one Amazon account. It’s kind of political as well as historic. Let me explain. When I lived in the UK, I naturally had an Amazon UK account. I made countless Kindle purchases, and life was good. For a while this was my only Kindle account. In 2011 I bought a first generation Kindle Fire in the US. The device hadn’t been released in the UK yet, and to use it properly, an Amazon US account was needed – which I duly created. When we moved to the US in 2012, I converted all my Kindle purchases to that US account, so I only have to deal with one account for Kindle purchases, Amazon Video and other stuff we buy (NB: in the US, having Amazon Prime actually makes sense – I never really saw the point of buying it in Europe). So there you have it. These days, I only ever use the US and the German account for reading Kindle books. 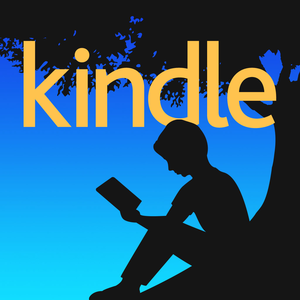 It’s very easy to de-register any Kindle device from one account, and register it to another. Fire Devices lose their previous content, but e-readers keep it and let you add to whatever you’ve downloaded from another account. Either way, wherever you’re logged in, you usually see whatever content has been purchased on said account, either under My Library, or Archived Items. And I remember this worked fine – until I tried again on a cold December night in 2016. I de-registered my Kindle Fire from the German account, and re-registered it to my US account. All went well, but my content wasn’t showing up. Besides, I was apparently not a Prime member anymore. It made no sense at all. Turns out that I was using the same email address and password for both the US and the old UK account… and when I re-registered my Kindle, the system registered it to my defunct UK account! That’s the whole mystery. That’s why there was no content anymore, because it had all been transferred to the US account. But how was I going to access my US account now? Well the friendly Amazon customer service representative said that it was the password that was confusing the system. See, the US and UK systems are linked, whereas the other regional Amazon sites are not. Since I registered in the UK, the system tried that account first, was successful in logging me in, and that was that. What I needed to do was simply to pick a different password for my US account, de-register the device, and re-register it again with the new password. And hey presto: all my purchases were there, just like I had expected them to be! The same was true for my iOS device: after registering again with my new password, my iPhone was also showing my content, and my world was looking a little brighter than it did before.